We are faced with constant reminders that nature is a powerful force that can instantly disrupt our lives. Here at Evolver, we believe it is important to be prepared for whatever comes our way. This summer and into the fall, we will be crowd-sourcing an ensemble of products to keep in your home or go-bag as part of our emergency preparedness series. Our senior advisor, Aton Edwards, is our go-to expert for all of the products in this category. This is the LifeStraw, a personal water filter that can convert non-drinking, and contaminated water instantly to fresh drinking water . Ideal for camping, hiking, and a great companion if faced with emergency conditions. It’s lightweight and compact, so it’s an easy addition to your go-bag or your camping backpack. The filter can be used for up to 264 gallons of water. It’s really easy to use–just put the lower part of the straw into whatever water you would like to drink and sip. The water will be filtered by the time it reaches your tongue. 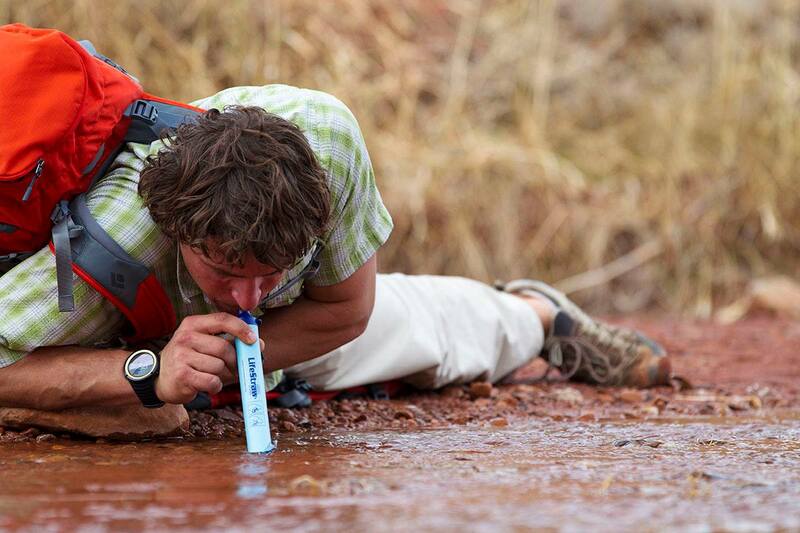 We recommend the LifeStraw as an addition to any emergency preparedness kit, camping bag or adventure pack.